One coat of Scarlet. Great formula! There is a gold shimmer in Scarlet that I couldn't pick up .. :( Scarlet is also less red and a bit more of a brick-color irl. One coat of Sunrise Splash. The gold is a little bit more vibrant irl. This is so cuuuteee nail art! The red and gold swatches are great too! Super cute! I love the design! 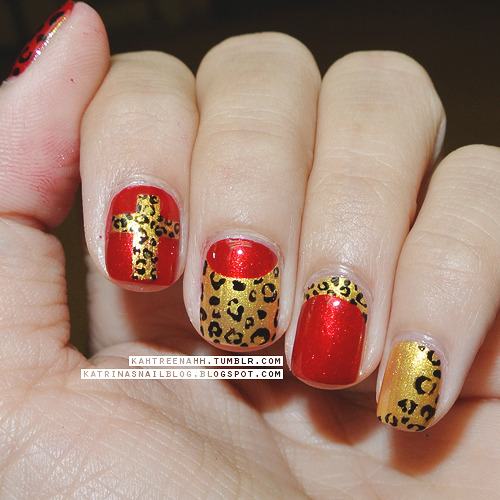 Love the color combination with the leopard print! 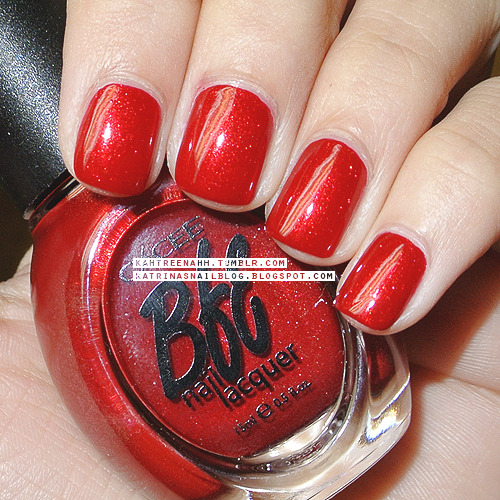 Wow, that red is AMAZING - I've been looking for a good red polish for a while; I think I might have found what I've been looking for! LOVE the art, too. How well does the acrylic paint work, and does it remove easily with regular polish remover/acetone? 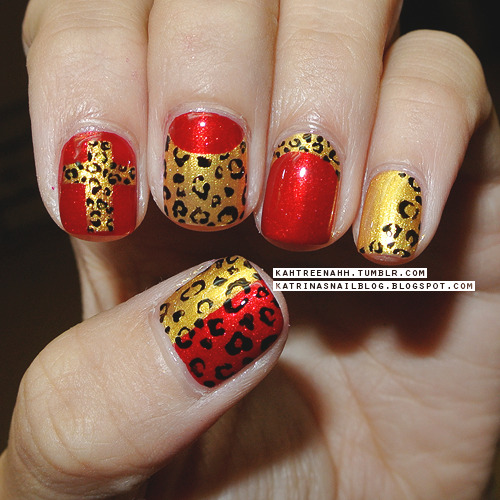 This is insanely creative and I've always been a fan of cheetah print with red! Wow!!! This mani is so pretty. Love the color combos and design. They look great together. You def did a great job on this one so keep it up! Love it!